Coming from the stable of the famous Microsoft, Windows 10 has already taken the path of success but its avatar on mobiles is yet to make a debut. However Microsoft in its innovative effort has provided a great option to its fans to test the preview builds for Windows 10 since the beginning of 2015. However it is always better to know the options for 'hard reset' and through use of the software for solving any problems as the new Smartphones due to their sleek design have very less buttons (hardware buttons). 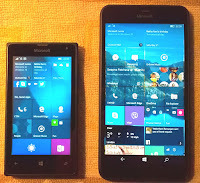 At first the preview builds were very buggy but ever since the build 10536 was released, the Windows 10 mobile technical preview builds have acquired more stability. If you use the Windows phones with Windows 10 builds now, you don't feel anymore that you are actually using a preview build. That has been the improvement and we must appreciate Microsoft as well as those scores of insiders who have actually helped Microsoft achieve this as they provide valuable feedback to Microsoft. 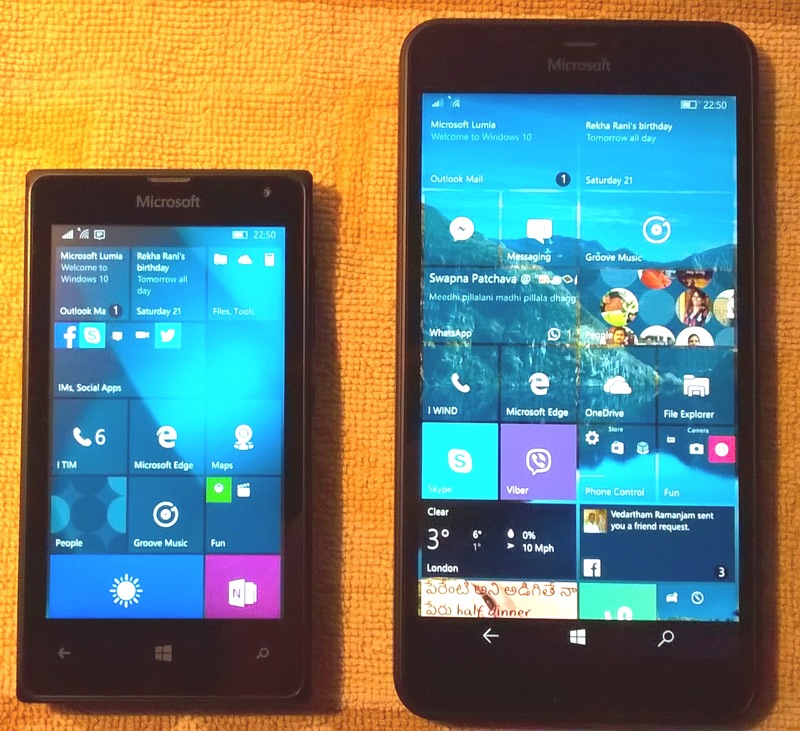 Now with the release of Windows 10 Mobile preview build 10.0.10586.11 just 2 days ago, the mobile version of the OS is on par with the PC version that got an update 1511 with the same build number at the beginning of November. However working with Windows preview builds may involve some bugs, bricked or frozen windows phones that either fail to start or get stuck at spinning gears. And for these problems, we have luckily some solutions too. This option is helpful when you don't have an access to a computer. This is also useful to simply reset the phone on the same version of Windows 10 mobile technical preview build. Because if you intend to use 'Windows Device Recovery tool' to reset your phone, you lose the preview build version of OS but will instead get the formal Windows 8.1 OS because Microsoft can't oblige the normal or average users to install preview builds. Hence in this scenario, if you need to just reset the phone because while upgrading from one version of the preview build to the other you got a problem with your phone, hard reset is the only option. Now, going straight to the procedure. Ensure that your phone is connected to the power through the charger or at least to the computer through the USB cable. 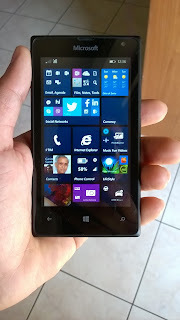 Now, we just use the available hardware buttons on the sides of your Windows Phones as specified by the manufacturer. To be sure, you can make a search online with the phrase "hard reset Windows Phone Nokia or HTC" etc. Press and hold the 'Volume down' and the 'Power' buttons at the same time until you feel a vibration (about 10-15 seconds). When you feel the vibration, quickly release the buttons, and then immediately press and hold the Volume down button until you see a large exclamation mark (!). Your phone should now reset and restart itself. It takes a few minutes for your phone to restart. In most of the cases, with many models of the Windows phones, this reset option solved the problems even in the case of unresponsive phones while they upgraded from one preview build to the other version of preview builds. But if this doesn't work for any unspecified reason, you have the next available option to use 'Windows Device Recovery Tool'. Please note that with this option you are going to get the latest preview builds, as they are unofficial versions and Microsoft as a responsible company can't force its users to install preview builds that may have some bugs. Hence if you had tried to install preview builds, faced problems while upgrading, and tried hard resetting but nothing worked for you, then you can only downgrade your preview builds to the formal Windows 8.1 OS version. And even if you didn't face any problem but just want to come back to Windows 8.1 until the official release of Windows 10 Mobile, 'Windows Device Recovery Tool' is the best choice. The last stage in human life is Old age. At this stage old people will encounter negligence from others including their families in some worst cases. Not only this, they will develop self negligence. Due to Competitiveness, tension due to pressure of work, spending leisure time on viewing TV, Children's education etc., youth also neglects them. Though the youth have love and affection towards them , they are not spending sufficient time as expected by the old people due to the above reasons. Youth working in foreign countries is also one of the reasons. Tapatraya in Sanskrit, means 'The 3 Cravings (Anxieties)' of the Human Life. Trying for a thing or for a purpose with undue longing and anxiety is generally called as Tapatraya (Craving). This is the common man’s view. But spiritually this has got a different meaning, a meaning in true sense. These three kinds of cravings termed as Tapatraya are - 1. Aadhi Bhouthika (Physical), 2. Aadhi Dyvika (Mental), and 3. Adhyatmika (Spiritual). The explanation of these three may differ from one school of thought to the other. But let us think according to our view.